What a contrast the woodland and hedgerow flora is compared to last year. 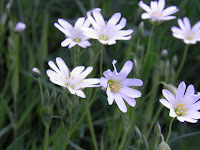 In spring 2010 after a protracted winter, all the wild flowers seemed reluctant to get going, and botanists wondered if some species would ever arrive and chase away the snowdrops. This year with such a warm spring, everything seems to be racing ahead of time and I’ve been dashing about trying to catch things before they’ve been and gone. 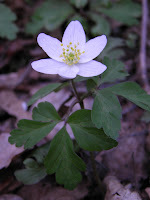 The starlight blooms of Wood Anemones' (Anemone nemorosa) (see image) and sunny displays of Colt’s-foot (Tussilago farfara) are more or less finished locally. In the news there have been stories of Bluebells in flower a good two weeks earlier than normal, mirrored by the first shimmer of a blue blaze in the Pinfold garden. However it was the sight this week of hedgerow bottoms turning creamy white with the early flush of Greater Stitchwort (Stellaria holostea) that for me confi rmed the speed of spring this year (see image). This is about a month earlier than last year. There have been many reports that global warming is creating a trend in the UK for earlier springtime. Although we may welcome this ‘bonus’ warmth and sunshine, scientists are concerned about the long term impact on species and whether or not they can adapt quickly enough to such change. 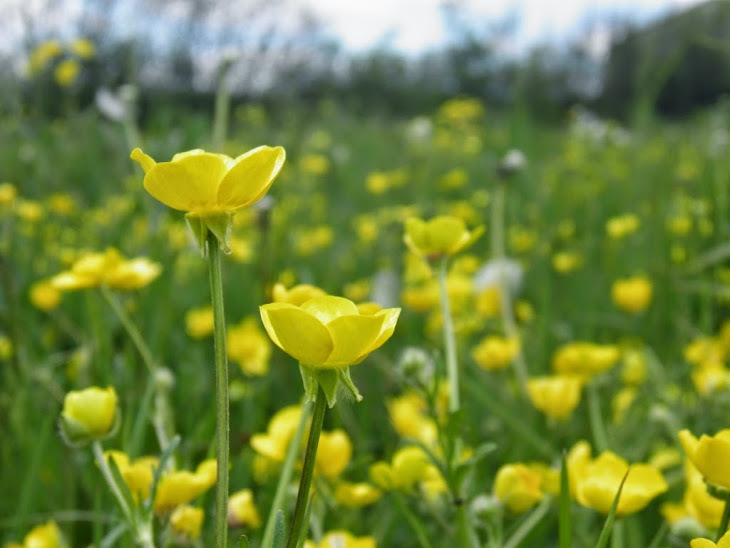 One example of the complexity that might arise is whether plant pollinators, such as insects, can adapt their timings (phenology or life-cycle) in parallel with each other. If one depends on the other or they have a mutual reliance, then getting out of ‘synch’ may result in their local decline or extinction. Hegland, et al (2009) found some evidence that the onset of flowering and first appearance of pollinators did occur in parallel as temperature increased, but stressed that other studies had shown some timing mismatches. As climate change really takes a hold we may well find that there are winners and losers in the British countryside, with those able to evolve faster than others.